The 2019 Malibu Premier's front fascia, grilles and headlamps are all-new. LAS VEGAS -- Chevrolet is not giving up on passenger cars, despite reported plans to axe the Sonic subcompact. General Motors' biggest brand is giving the Cruze, Malibu and Spark facelifts, including a more aggressive split-grille design, for the 2019 model year. Chevrolet also upgraded the cars' infotainment systems and realigned or added options. Powertrain options, aside from one transmission upgrade for the Malibu, remain unchanged. "The car market today still is very vibrant," Steve Majoros, Chevrolet's marketing director for cars and crossovers, said during a preview event here as part of its 2018 Dealer Business Conference. "We have a strong opinion on this and we're bullish on the car market." GM, according to Majoros, expects there to be about four million "traditional passenger cars" sold in the United States this year -- in line with 2017 volume. Many of the changes to the trim options are to lower-priced versions of the cars, where Chevrolet believes most of the growth in the segments will come. "We've created some new models for specific price points where we think the market is going to be," said GM North America President Alan Batey, who also oversees Chevrolet's global operations. Combined U.S. sales of the three freshened vehicles declined 13 per cent in 2017, led by a 36 per cent drop for the Spark and an 18 per cent slide in Malibu deliveries. U.S. sales of the Cruze declined 2.2 percent last year. But in Canada, sales of the trio dipped just 1.7 per cent. Most of that decline was driven by slumping sales of the Cruze, the only one of the three cars to see its sales drop in 2017. Its sales dropped 16 per cent. U.S. sales of the vehicles have essentially flipped through the first three months of 2018, with Cruze deliveries down 26 per cent and Malibu and Spark off less than three per cent each. Combined U.S. sales of the three cars are down 16 per cent through the first quarter. In Canada, it’s been the Malibu struggling to start the year, down 13 per cent. Sales of the Cruze and Spark have surged to start the year, up 33.5 and 43.9 per cent, respectively. Combined sales of the three cars are up 16.3 per cent to start 2018. The 2019 Spark is expected to begin arriving in dealer showrooms in late summer, followed by the Malibu and Cruze in the fall. Pricing for the 2019 models will be announced at a later date. Chevrolet officials declined to comment on a Wall Street Journal report that the brand was planning to end production of the Sonic as early as later this year. Other additions for the midsize sedan include standard eight-inch touchscreen on all models and a CVT transmission, which replaces a six-speed automatic, on all models with the 1.5-litre turbocharged engine. 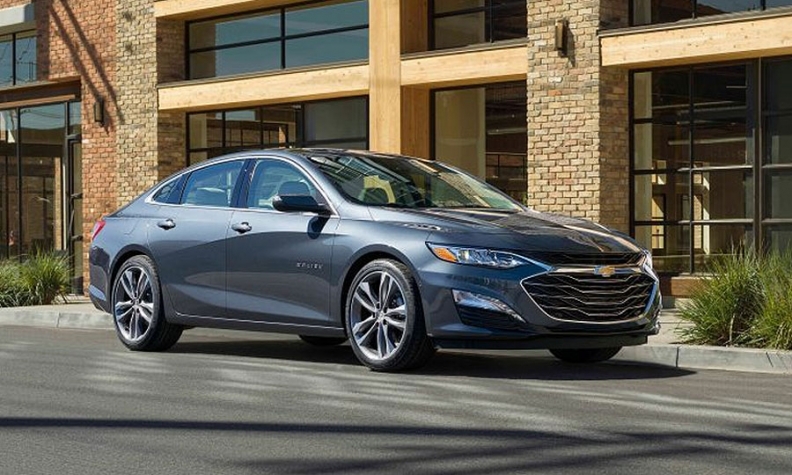 Similar to the Malibu, the 2019 Cruze's front fascia was freshened and the company added a seven-inch touchscreen as standard equipment. Other changes include expanded availability of remote start and automatic climate control, now standard on LT and Premier models. The first-ever LS Hatch trim is added to the Cruze Hatch line. The 2019 Spark's front fascia is a bit less aggressive than the Cruze and Malibu, as it features a large plastic bumper in the middle of the lower grille. Aside from the exterior tweaks and available Low Speed Forward Automatic Braking, little changes in the mini-car for 2019. There are new exterior colour options and a revised interior trim.